It is not too late to donate a gift for the Silent auction at the Muncie Convention Center this next week at the Fall Seminar. 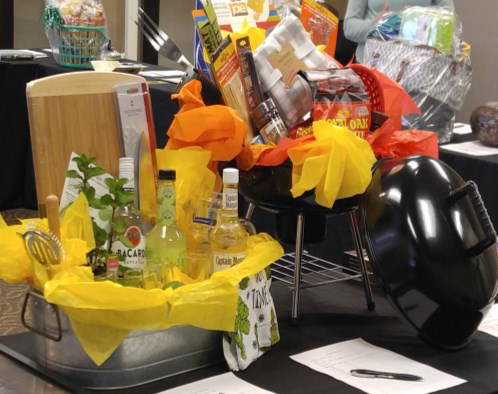 Proceeds from the auction go to the ISRC to help with the operating Budget and includes the administration of three scholarships for students applying to Respiratory Therapy programs. I’m sure you know someone who needs help with RT educational expenses and our state, and field in general, is short of RT’s. What can you do to help you may ask? Donate to the Silent Auction by making your own basket, or gathering gift items from nearby or friendly vendors or businesses so we can display and auction these for proceeds to the ISRC fund. Contact any staff member, a chapter director, or a member of the Board of Directors to see who is going to the State meeting or email the publisher at johntmurphyjr@gmail.com (jmurphy@in-isrc.org) and we can help to get your gift there. Better still, register and bring it yourself, since the fun and excitement is already beginning to mount. A few of the ISRC members know about some nice auction items up for bid and that means a successful start for the auction. We want to eclipse the success from last year and we can’t do it without help from our members.